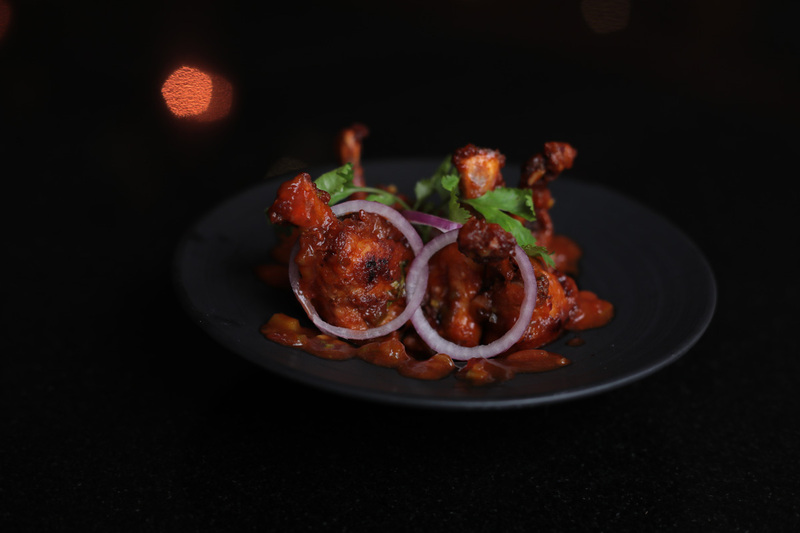 Chicken lollies dipped in barbeque sauce. 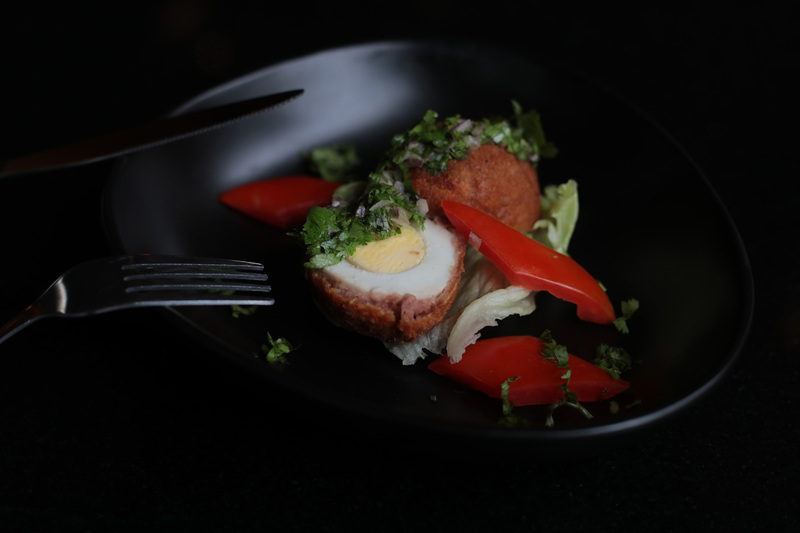 Hard boiled egg covered with a patty of sausage and bread crumbs served on a bed of lettuce accompanied with coriander & onion sauce. Served with a mayonnaise & mustard dip. 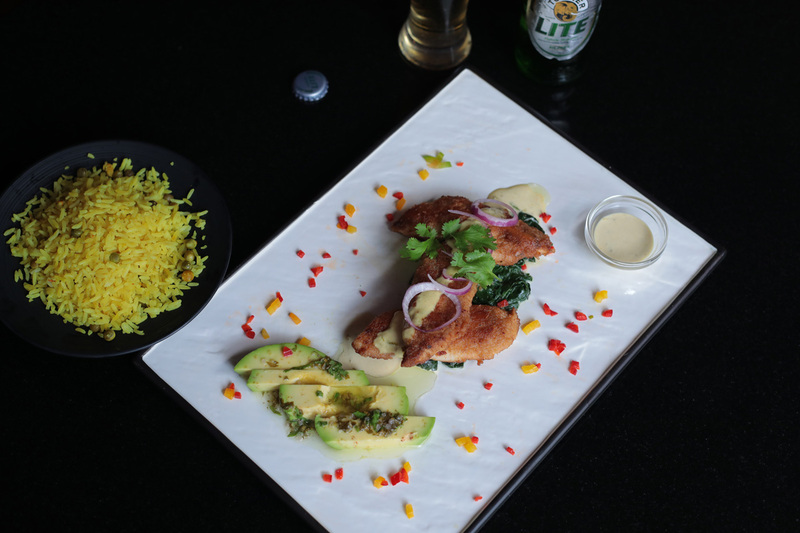 Pan fried crusted fish fillet laid on a bed of creamed spinach accompanied with secret sauce and risibisi rice. 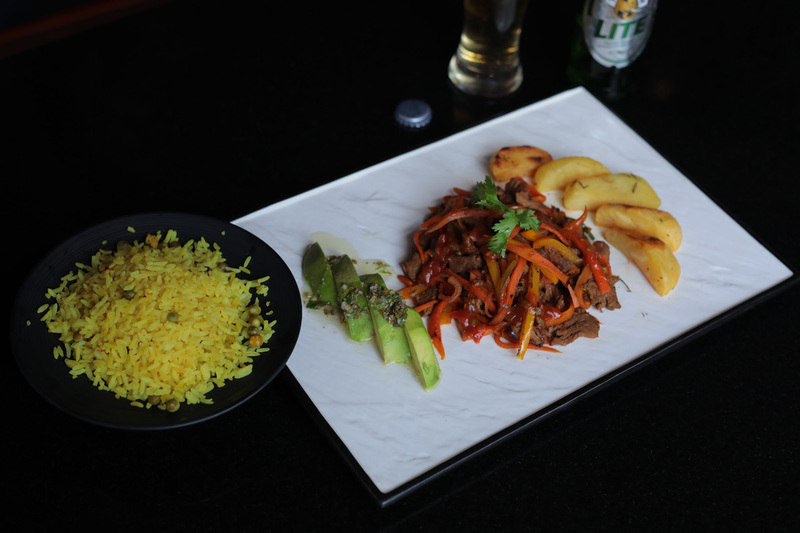 Beef strips stir fried with seasonal vegetables and herbs served with rosemary potatoes or risibisi rice. 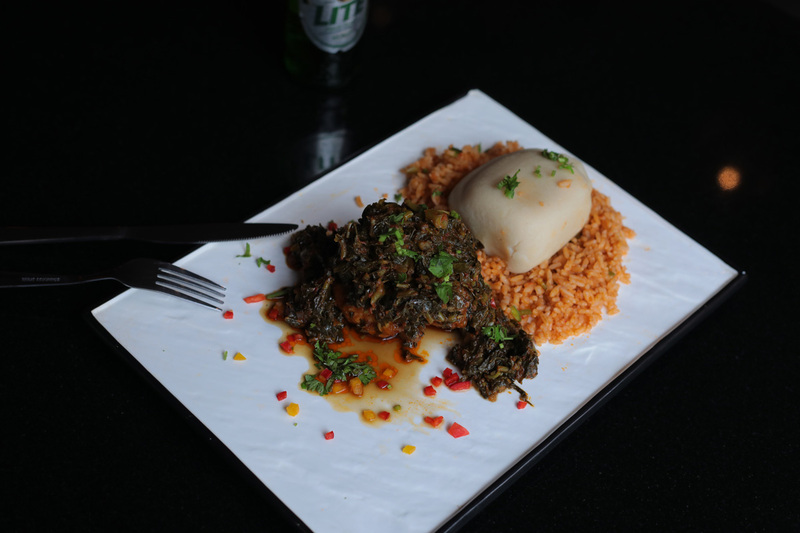 Jollof rice served with pounded yam & chicken accompanied with efo riro. Comes as a spicy dish.